Raisel currently works as the Public Affairs lead at PaJeS, an organisation supporting Jewish schools across the UK. 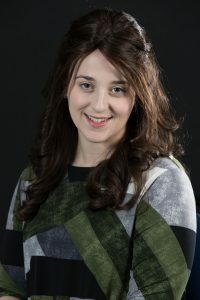 Her passion for education led Raisel to continue studying beyond a BA in Law and Politics to complete a Masters in European Jewish History with a Merit and distinction in her dissertation. To compliment this academia, Raisel undertook the Susie Bradfield Course and has now graduated from the new Chief Rabbi’s Ma’ayan programme. Married to Ben and with an almost 2 year old – Amitai, Raisel and her family are looking forward to getting to know the Hampstead community. Look out for an evening of TED talks delving into issues of Muscular Liberalism, Universal Secularism, Protected Characteristics, The Equalities Act 2010 and Jewish Education. Plus, introducing ‘Laws of Attraction: What the Torah has to say about love and marriage’ – a series on Judaism, Intimacy, the mikvah and more.